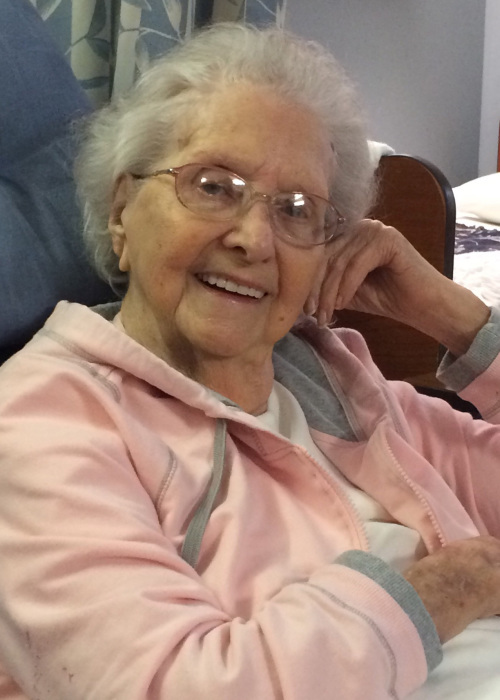 Obituary for Audrey Phillips Pryor | Jones Funeral Home, Inc.
Audrey Phillips Pryor, age 91, of Little Rock, AR, formerly of Crossett, passed away on Monday, December 3, 2018. She was born on January 20, 1927 to her parents, Oscar and Jewel Phillips. Audrey was a member of First Baptist Church of Crossett and her passion in life has always been her family. She adored her dear friends at The Pillars in Crossett and misses the staff there. She always spoke about how well she was treated when she lived there. The last two years of her life were spent in Little Rock, AR with her family. She is preceded in death by her parents, Oscar and Jewel Jones Phillips; her husband of 57 years, Fred Pryor, Sr.; one daughter, Diane Pryor; one son, Fred H. Pryor, Jr. and one grandson, J.D. Andrews. She is survived by two sons, John Pryor of Little Rock, AR and Phillip Pryor of Rodgers, AR; three daughters, Carolyn Pryor of El Dorado, AR, Pam McKinney of Hot Springs, AR and Beverly Pryor of Kerrville, TX; one brother, James Phillips and wife, Andie of Crossett, AR; one sister, Gail Riley of Prattville, AL; twelve grandchildren, fifteen great-grandchildren and a host of other family members and friends. Funeral services are at 3:00 PM on Wednesday, December 5, 2018 in the chapel at Jones Funeral Home, Inc. with Bro. Jamie Staley officiating. Pallbearers are Chris Harper, Michael Temple, Corbin Smalling, Cole Smalling, Austin Morse, Brice Hodge, Fred H. Pryor, III, Owen Pryor and Dylan Pryor. Honorary Pallbearer is Evan Pryor. Burial is in Pinewood Memorial Park. Visitation begins at 2:00 PM, one hour prior to the funeral service.